I have damage to my roof that caused water intrusion from the rain and the storm has not passed. What should I do? If you have had a roof leak that has caused water damage to your house it is important to get a tarp up as soon as you've noticed the water intrusion. Most roofing companies will not do the repairs on the roof until the storm has passed. A great way to avoid further water intrusion in your home is having SERVPRO of Mar Vista place a tarp on your roof. A tarp up is a temporary fix to block out the rain from making its way into your home. In this case, it is very important to be proactive and save your home or business from excessive amounts of damage. You can find pictures of our tarp ups under the WHY SERVPRO tab and in the BEFORE AND AFTER page. 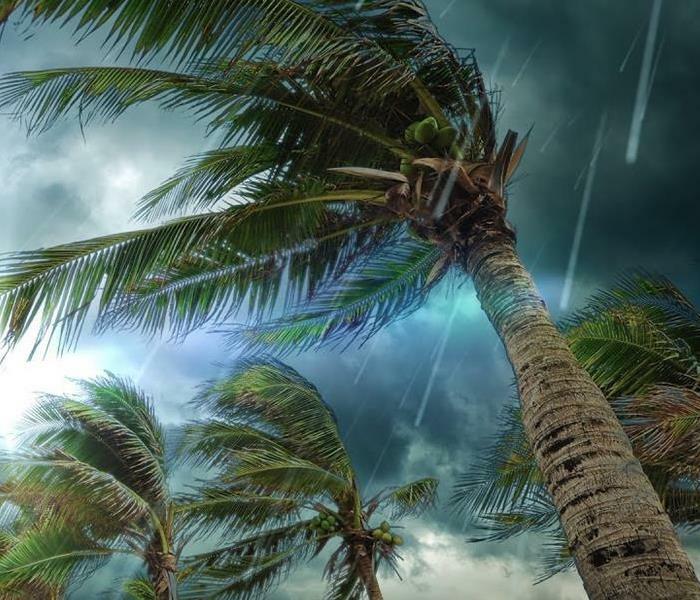 When a storm hits your Mar Vista home or business, you need help immediately. Our quick response will help prevent secondary damage and help reduce restoration costs. When a major storm hits, it may overwhelm local restoration companies. SERVPRO of Mar Vista can scale our resources by accessing the equipment and personnel of 1,700 Franchises. We can also access Disaster Recovery Teams that specialize in major storms and catastrophic events. SERVPRO of Mar Vista is locally owned and operated, so we are part of this community too. When you have a flooding or storm emergency, we’re already nearby and ready to help. We take pride in being a part of the Mar Vista community and want to do our part in making it the best it can be.